Vegas is here. 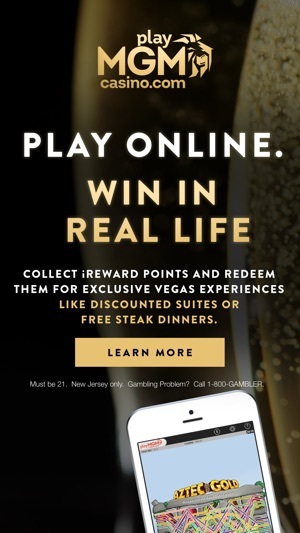 With playMGM Casino, Real Vegas gambling is available online and anywhere in New Jersey. 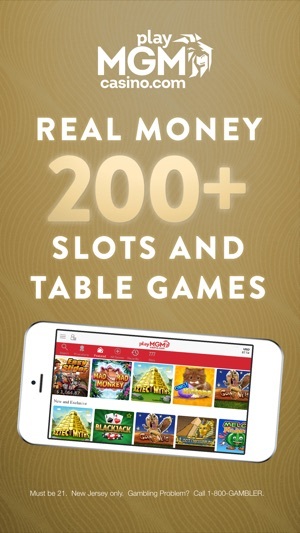 Play all your favorite games, like slots, roulette, blackjack, jackpot slots, video poker and more — all for real money and real Vegas iReward points. It’s safe, secure, and offers all the thrills of a real Vegas pit. 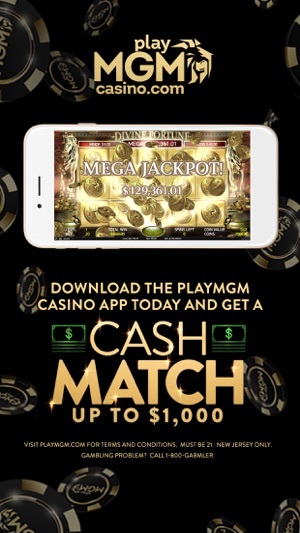 Download the playMGM real money casino app today and start winning! I downloaded the app and started playing. I won a little and decided to exit out the app and planned on playing later on that night. I tried to log back in and was locked out the account. No problem. I called customer service in hopes that the can help reset my password . The first person I spoke with sent me an email to reset my password. The link sent me to a page to download the app, which I already have and there wasn't any where to reset my password. I called back again and a different lady told me I can only reset my password on a computer. I told her I didn't have access to one and what would be the next step. She told me there isn't a next step and that I need a computer. I asked to speak to her manager numerous times which she refused and kept saying he is going to tell me the same the thing. I asked her was there anywhere on the website that states that you can only reset the password using a computer. She refused to answer. I am highly disappointed with MGM Casio I am a person that plays regularly on other online casino sites and I have Never experience this form of treatment form BetFair or other online casinos. Do not download. I REPEAT DO NOT DOWNLOAD! MGM was one of the best online casinos when they first entered the market. Over the past year they’ve continually gone down hill. They used to offer generous amounts of bonus money. The wager requirement on bonus money and deposit matches used to be 20x the amount of bonus. Now they switched it to “points” which when you calculate it out, it is a 30x wager requirement! 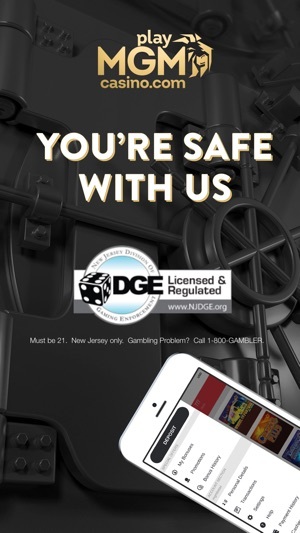 And that’s if you are only playing non progressive jackpot slots. 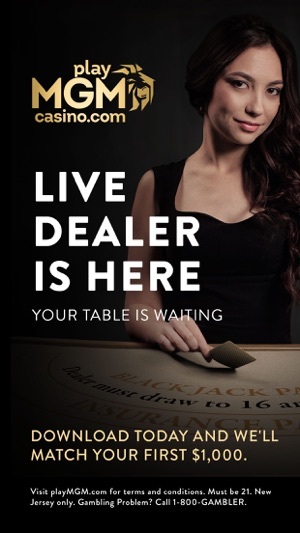 Table games are even higher requirements. RIDICULOUS! Aside from their ridiculous bonus playthrough requirements, the app itself is trash! It CONSTANTLY crashes in the middle of games. Quite a few times I just lost the money and never even got to see the spin, even when I reloaded. I’d say once every 15 minutes, id have to completely close the app and log in again to play. Overall I’m done with MGM. 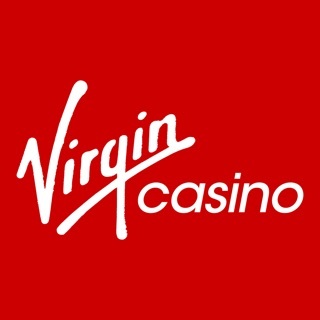 I’d recommend virgin, Tropicana or caesars if you want to play online in jersey. Stay far away from MGM, they are one of the worst out there right now! The bonus promotions on this site are rigged to mostly require a large deposit, for a minimal reward of free play (which requires a large play through). The daily bonus, which offers the chance to win either these deposit bonuses, points, or FREE PLAY Outright (no deposit but play through to release the money won) offers the latter only about 5% of attempts. Unfortunately, this structure has changed drastically since October 2017 when FREE PLAY outright and points were given about 90% of the time. Basically, the site has become much less generous (Cheap). COPYRIGHT © 2017 MGM RESORTS INTERNATIONAL. ALL RIGHTS RESERVED.